At 5 months old Watson suffered a metabolic crisis that caused him to lose all of his motor skills. 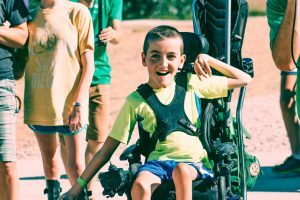 Flash forward 14 years, and he is taking on life (both at home & at camp) with as much speed as his power chair will allow! Question: What is does your daily schedule include? 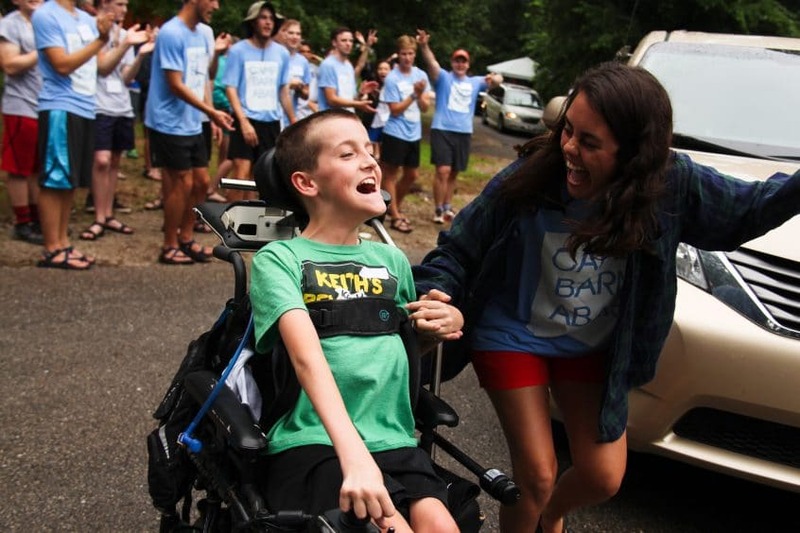 Watson arriving at Camp Barnabas. Question: What is life like when you aren’t at camp? Watson making new friends at camp. Question: What is your biggest dream or goal? Show Watson some love! Share this story to raise awareness about Glutaric Aciduria Type 1. For more info & background, visit https://rarediseases.info.nih.gov/diseases/6522/glutaric-acidemia-type-i.